This guide was written by UTDC.Justin, thanks! 1. 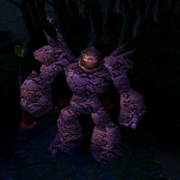 Roshan/Rune Awareness: Having vision over this area is quite important, many players neglect this when there is an early Roshan, giving up both a free kill and 1000 gold or so. This is a must have in games with Lycan, Ursa. If the enemy Ursa has a Vlads or is reasonably levelled, (use -ma and hero clicking to check), begin scouting out the area on occasion. Making a few extra steps when you scout/go for the bottom rune won’t hurt if you decide against warding. 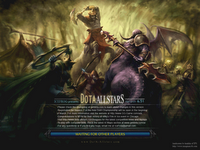 Next DotA Allstars Beta of 6.58 came out – 38th version. IceFrog permanently changes DotA trying to improve its gaming characteristics.